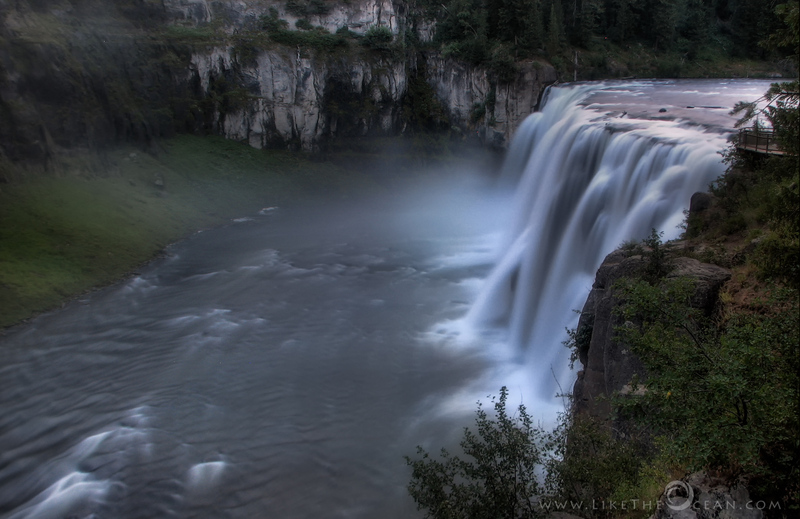 The Upper Mesa Falls at 114 feet offer spectacular views in a beautiful forest setting. The Mesa Falls Scenic Byway mesmerizes travelers with a display in the midst of a truly back-country setting. Upper Mesa Falls is part of the Henry Fork of the Snake River and is 114 feet high and 200 feet wide with a flow of around 600 to 1500 cubic feet / second. Of course, it is difficult to think or even plan for these stops when you are headed to the much grandeur Tetons and Yellowstone which are on a totally different scale of awesomeness. But nevertheless this was a thing of beauty and well worth the stop. Just got to spend an hours or so as the sun was setting down, but we were glad we did stop out there ! Thanks Laura, Glad u like it as much ! This is beautiful! How long was your exposure for this shot? Thanks Chanelle, it was around 5 seconds, the water was just gushing down ! wow!! man you are amazing !! I mean .. how on earth did you manage to capture this ??? absolutely gorgeous !!! check my blog.. i have posted few pictures of my village in Nepal. Hey Tsewang – Feel grateful to witness and capture some of these inspiring landscapes ! Thanks. Welcome to the blogging world !!! Gorgeous- feels like I am there. Mission Accomplished :) Thanks so much for the compliments !